By 2030, the online meal ordering business will touch $365 billion globally. 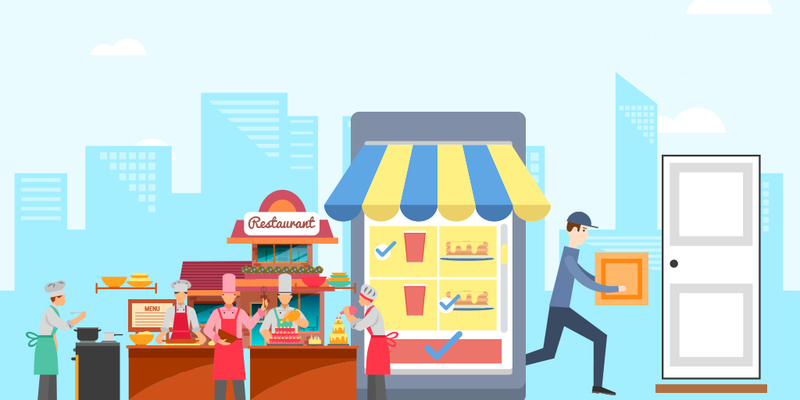 If you are a restaurant and much of your business comes from food delivery portals, then it is time you had your own online food ordering system. There are other more compelling reasons why you must have your own food delivery software. Every time you bag an order through a food delivery aggregator, you are left poorer by a few dollars. Those lost dollars, if accumulated over time, could have helped you launch a few initiatives to grow your business. You can connect with your customers real-time and steal a march over your nearest competitors. Research shows that market leaders stay ahead because they deploy new technologies and are always ready to experiment. Followers, on the other hand, take a long time to make up their minds and therefore remain behind. How often does it happen that your customers are unable to place their orders because of busy phone lines? Your employees might be doing some other stuff while your phones are ringing and perhaps it is a great idea to make the entire food ordering system easier. Let your customers come to your platform easily, choose what they want, and make payments. Research shows that mismanaged food ordering systems irritate customers and some of them may even go away to your competitors. Another importance of having an online food ordering system for restaurants is this; you can profile your customer. You can create a virtual picture of her in terms of education, income levels, geography, age etc. Based on this profile, you can then do a thousand things with your products like launches, offers, promotions, extensions etc. Most of your customers carry mobile phones at all times. You can catch them any time of the day with your food ordering system. If you have an app, encourage your buyers to install it on their devices. Through this app, remind your customers that you are there for them at all times. There may be times when you run out of stock for certain products or ingredients. Through your online food delivery system, you can mask those products in your menu. This way, you will be able to manage your customers better and without causing any dissonance. Similarly, your system can tell your customers about your geographic and pin code delivery areas. Using this software, you can price your products accordingly. Currently, more than 55% of all customers pay online. Your online food delivery software will help all those customers who don’t carry cash. Don’t penalize this set of people, make it easy for them to buy your products. Work with efficient payment gateways so that the order management system works smoothly. One obvious benefit of a robust food ordering system is that you can get several kinds of reports. Find out which product line generate more sales and which one fared poorly. You can also map your sales seasons and then plan your next marketing programs. Find out your profitable products and find out ways and means to sell more and better. Above all, keep all your reports in one central place. Launching an online food ordering system is super-easy. With just a few clicks, you can install your customized platform and avail all the above benefits and thrive in the marketplace.